South Indian Bank Probationary Clerk,PO (IT) Vacancies :South Indian Bank has issued notification for recruitment of the 200 Probationary Clerks for the branches/ officers in the Tamil Nadu state. Age Limit: 20-26 years as on 31-12-2013. Candidate should be born on or after 01-01-1988 and on or before 01-01-1994. Age relaxation will be applicable as per the rules. Educational Qualification: Minimum 60% marks in 10th Class, 60% marks in 12th/plus two and pass in Graduation under 10+2+3/4 regular course with more than 55% marks for science graduates and 50% marks in the case of Arts/ other graduates. Last date for remitting application fee at any branch of South Indian Bank: 29-01-2014. 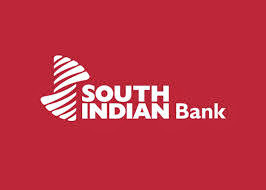 South Indian Bank Recruitment 2014 – Apply Online for Probationary Officer (IT) Vacancies: South Indian Bank has issued notification for recruitment of the Probationary Officer (IT)-Scale I Positions. Age Limit: Maximum age limit is 28 years as on 31-12-2013. Age relaxation will be applicable as per the rules. Educational Qualification: Candidates should possess B.Tech/BE (Computer Science, Information Technology, Electronics & Communication, Electrical & Electronics, Electrical)/ MCA for Post No.1, B.Tech/ BE- (Computer Science, Electronics & Communication)/ MSc (Computer Science, Information Technology)/ MCA for Post No.2, B.Tech/ BE (Computer Science, Information Technology, Electronics & Communication, Electrical & Electronics)/ MSc (Computer Science, Information Technology)/ MCA for Post No.3, B.Tech/ BE (Computer Science, Information Technology, Electronics & Communication, Electrical & Electronics, Electrical)/ MSc (Computer Science, Information Technology)/ MCA for Post No.4.